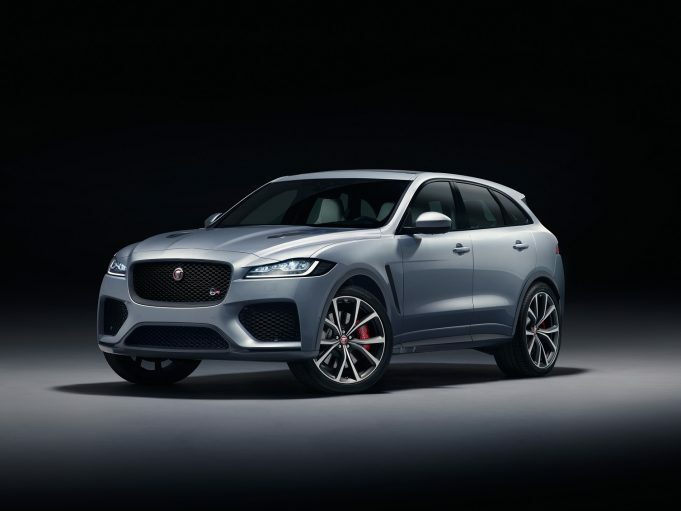 LIKE a quote from former WWE wrestler Dwayne ‘the Rock’ Johnson, when he says, in the third person, “Finally, The Rock has come back to…” – we can say; finally, Jaguar has launched a hotted up version of the F-PACE SUV. Available to order in Australia from mid-2018, with an arrival set down for later in the year, the 2019 Jaguar F-PACE SVR is powered by a supercharged 5.0-litre V8 petrol engine, developing 404kW of power and 680Nm of torque. Engineered by the brand’s performance arm; Special Vehicles Operations (SVO), the highly anticipated performance edition will have a 0-100km/h time stamp set at 4.3 seconds, and will be capable of a top speed of 283km/h. Aerodynamic enhancements include larger air intakes at the front and side fender vents that lower pressure in the wheel arches, reduce lift and provide additional cooling while also optimising high-speed stability. In addition, unique wheel arch extensions and lower body mouldings provide a low-slung muscularity that sets the SVR apart. An exclusive SVR bonnet features vents to help extract hot air from the engine bay and provide visual evidence of the SVR’s intent. It is set to ride on lightweight 21-inch or optional 22-inch forged wheels, with a differential width from front to rear to improve handling and traction, while the SVR-tuned chassis will also get uprated dampers, with increased front and rear spring rates. Inside, slimline sports seats in the front and rear with signature lozenge quilting and an embossed SVR logo replace standard seating, while the rotary gear selector gives way to a sports shift, and an SVR steering wheel with aluminium paddle shifters. SVO has also provided bespoke calibrations for quick shift transmission, electric power assisted steering, adaptive dynamics, torque vectoring, dynamic stability control and all-wheel drive system. For all its performance, the SVR retains the practicality and versatility inherent to the PACE family, with its 650-litre load space (with rear seats up) unaffected by its enhanced performance. Jaguar’s SUV keeps passengers connected and entertained on the move with 4G Wi-Fi for up to eight devices and is also equipped with the advanced Touch Pro infotainment system with 10-inch touchscreen and a 12.3-inch HD instrument cluster. Finally, the SVR will feature four interior colour themes help to highlight the vehicle’s high performance personality; Red with Jet, Light Oyster with Jet, Siena Tan with Jet and Jet with Light Oyster stitching. It will hit the market here in Australia from $140,020 plus on-road costs.